I’m sure you’ve all heard of that one overly destructive oil called, Palm Oil. The one that impacts the lives of many children in remote locations due to child labour and human rights violations. The one that significantly contributes to climate change and the demise of our most endangered animals across Asia. The one that destroys rainforests around the world at an alarming rate. If you haven’t heard about this ingredient, I really do encourage you to read this post in depth. This oil is really no different to any other crop, it’s actually very effective! The problem lies in the destructive process that’s used to obtain it. It’s said that the equivalent of 300 soccer fields of rainforest is cleared every hour for this production… So as you can probably tell, it’s a serious problem. This damaging oil is used in nearly every category of product we use in our homes. So much so, that 60-million tonnes of it are exported out of South East Asia every single year. It’s become something that producers simply can’t live without, and even when it’s the backbone of the most environmentally destructive industries on the planet, that is completely put aside. Scary right? I hope this has put things into perspective for you. This oil seriously is everywhere, and sadly, many companies are going to extreme measures to ensure we don’t know about the ingredients used in the products we purchase. It makes me really worried about what I’m essentially buying into without any knowledge, and I think you should be too. In the above list, I’ve highlighted the alternative names for palm oil that you’ll most commonly see on the shelf. Basically, anything with the word ‘palm’ in it, is palm oil – no doubt about it. Although the one you really need to worry about… is “Vegetable Oil”. Many companies have the ability to openly mask their ingredients under this title with very little transparency. Essentially, vegetable oil could be a mix of a few different oils, but sadly, the most common concoction on the market is made with palm. If you’re really unsure of you’re purchasing (which is likely the case when buying an unknown ‘vegetable oil’), a great tip I found is that if the saturated fat content is more than 50% in a product, it is bound to be palm oil. They really have made it incredibly difficult for consumers to make an ethical decision. But thankfully, avoiding it is undeniably possible if we keep an open mind. If completely boycotting isn’t for you… There is another option! 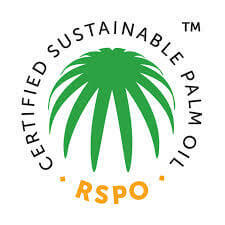 Certified Sustainable Palm Oil is operated by RSPO. The Roundtable on Sustainable Palm Oil thoroughly believes in the ethical production of palm oil for global use products. They mark products from brands/companies that stick to strict criteria, with an eye-catching symbol that makes it clear for consumers. They bid to reduce the negative impact on the environment from deforestation and destructive plantations that brands purchase their oil from. What RSPO thoroughly believe, is that palm oil is beneficial in many circumstances when used in a sustainable manner. They figure that switching to other vegetable oils for the same purpose (such as sunflower oil) will have greater negative implications on the planet – this is due to these particular Oil Palms producing 4-10 times more oil than other crops per unit of cultivated land. To be stamped with the RSPO Trademark, no primary forests or areas that contain significant concentrations of endangered species or fragile ecosystems can be cleared. Fair treatment of workers according to local and international labour rights standards are to be in place at the selected plantations, and a consultation with the local community is to take place before the development of new plantations too. Unfortunately, many brands try to trick the system and still cause destruction even when they are classified RSPO. It can be very hard to track, and many will say that all palm oil is bad, regardless of the label it has. Personally, I do think that sustainable palm oil is the only way forward. But after seeing the destruction for myself, I’m not sure how sustainable “sustainable palm oil” really is at this current point. Many brands breach the regulations and still label themselves as sustainable, even when their practices are much the opposite. The current situation means that I *personally* am boycotting to the best of my ability, unless I know for sure that the brands are sustainable, and until I am 100% certain that companies are taking their practices seriously. 150,000 Orangutan deaths in the last decade and a half doesn’t seem very sustainable to me. We really need to make organisations step in and source their ingredients without any further destruction. Because right now, I’m very skeptical. And now’s where we find out what type of products we’ve all been purchasing that contain palm oil. Please, be warned… It’s another big list. I wish I could tell you this list has covered everything… But sadly I’d be lying. Unfortunately, this environmentally destructive ingredient has swallowed up our world by whole. From the things we wash our hair with, to the things we use to clean our homes. 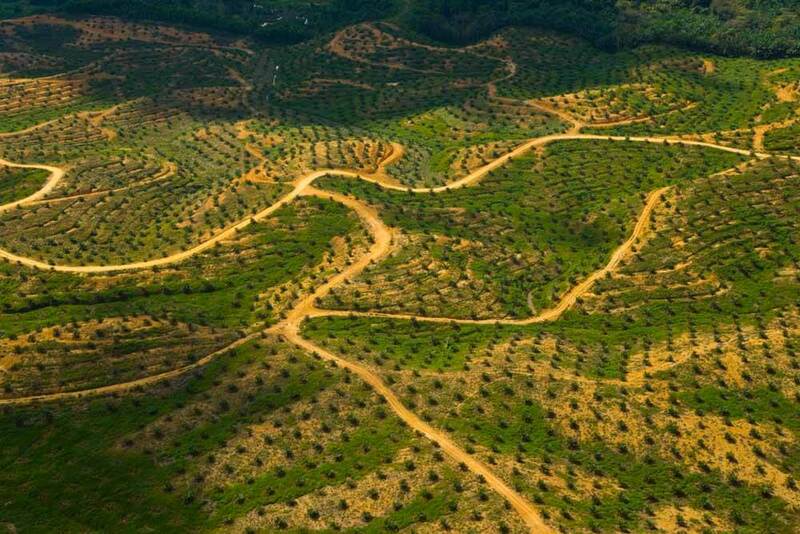 It’s even in our cars… 51% of all palm oil exported to Europe is turned into a fuel masked as “green biodiesel”. And although it sounds like a positive, it’s actually 3X worse for the environment than regular diesel due to the extreme deforestation that is caused in the making. Palm Oil has basically found its way into everything that consumers of the human race love and need to buy (smart thinking on their behalf I guess). Sign petitions, encourage companies to source their palm oil responsibly (remember, it’s not the oil that’s bad, its the process that’s used to create it), fight for zero deforestation in any way that you can, and remember that your money is powerful. Do your best to support the brands that are kind to the environment, not the ones that couldn’t care less. To help you reduce your impact, I’ve constructed a list of products with palm oil that you should remove from your trolley, along with the palm oil free/sustainable palm oil products that you should buy as a replacement. It’s important to remember that small things lead to big changes. If we all do nothing, nothing will ever change. Before you begin reading this, please remember that this list is only a very minor selection of what’s really on the market. It’s basically just to show you that there are other alternatives to those that are damaging to our planet. WARNING! This list was conducted through my own research in Australia and is based on Australian brands. International companies may use different ingredients depending on the location. Brands may regularly change their formulation without my knowledge making a few things inaccurate. I try to update when I find new discoveries, but I may miss a few. Please do your research with the brand before taking my word, and if you know of anything that seems to be incorrect, please let me know! So as you can probably tell, palm oil is in everything. It would be merely impossible for me to write down every single product on the market that contains palm oil, likewise to those that are free of it – I would be here for at least another year. 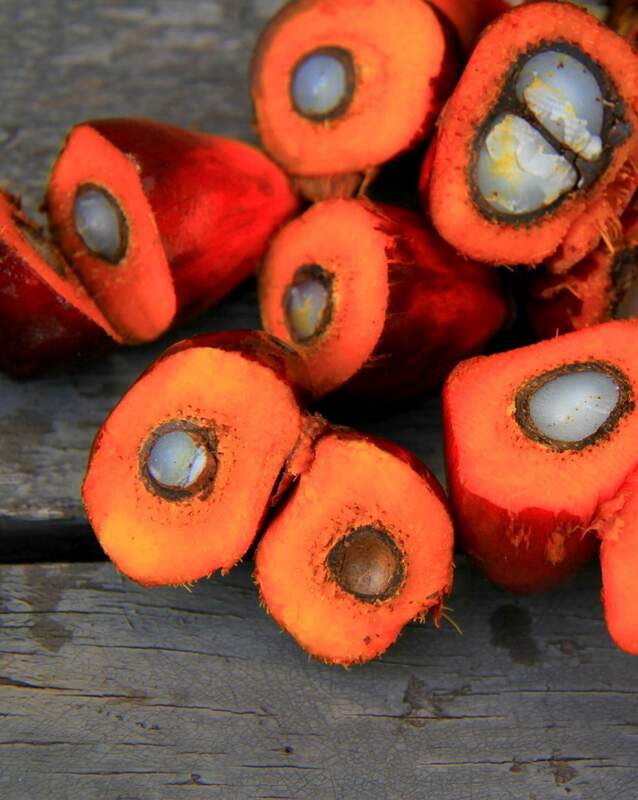 Luckily for some, there is a handy new app that allows you to see the palm oil rating of the products you’re buying: The POI App gives you an indication of your scanned item’s palm oil traceability; whether it is sustainable, environmentally damaging, or entirely palm oil free. The world can be such a nasty place at times, meaning that trying to find brands that are cruelty-free, brands that stock palm oil free products AND items that are good for your health and the environment at the same time is a whole new level of difficulty. If being completely free of damage is not possible at times (which it often isn’t), don’t beat yourself up! The most important thing is that we as a society, try our very best to be as ethical as entirely possible. Even if that means only switching up a few small things in our everyday lives, the impact will be much greater than what is commonly assumed. Taking the easy option may undoubtedly be less hassle and less time consuming, but the ramifications could be much more severe than a few minutes of wasted time. 25 orangutans have died every day for the last 16 years – it’s time to do something about it. We need to start making corporations responsible for their actions – deforestation cannot keep going on or else there will be no Orangutans left, and I personally don’t want to see that day! Now more than ever, consumers need to be more aware of where their money is going. Taking note of the brands that are placed in our baskets, in our shopping trolleys and in our mouths, is so important; it’s definitely time to start reading the labels and making educated, conscious and ethical decisions. Our wildlife, our environment and our planet are at stake. PS. Making this list was incredibly difficult. A lot of companies lay low on their Palm Oil stance. If I happened to get something incorrect, please let me know so I can adjust accordingly. This kind of information is very hard to find! This is a fabulous article! Thank you for all your hard work, Kate. I am signing the pledge and going to try and inspire others to do so too! This article is extremely helpful! I have not come across anything as comprehensive concerning palm oil and its derivatives and their impact on orangutans, the rainforest and the planet!! I do everything I can to avoid palm oil but as your article makes painfully clear, it is insidious. Thank you for your enlightening article and your hard work in preparing it! May I use the info provided by you to petition for palm oil substitution by snack brands? Hi Varsha, you absolutely can! Cadbury Bournville dark chocolate DOES contain palm oil and makes very oily homemade chocolate brownies. Grr! Thank you for your article, it is so hard to get this info from packaging and company websites. I did read that Loreal did a study into their Palm Oil distributers and have been able to trace them back to ensure they are using only sustainable PO. Do you you know if this is true? I also read that Allens, Arnotts and Smiths chips were PO free but i see they are on your list. It is so confusing, there are so many sources that say different things. It will be good once they pass that law in Victoria where packing has to state clearly if it contains PO, i think it kicks in in 2020, can’t come quick enough. Will help many people make a more educated decision. Hi Alison, thank you for your kind words. I am unsure about L’oreal, I will have a deeper look into that. But in regards to the other brands, Arnotts only have a couple of palm oil free products (mentioned in this list) but the rest are created with sustainable palm oil. Allens is run by Nestle, and they were caught out a few months ago for using unsustainable palm oil even though they claimed to do otherwise… That’s why they are on the non-sustainable Palm Oil list. And yes, Smiths are Palm Oil free, they mentioned on here under that section 🙂 I hope this helps! This is a great article. However, M&S have a goal of using 100% sustainable palm oil for 2020. I will not buy from M&S until then. Many thanks for this article, it has given me so much information. I’m astounded at how much products I have in my bathroom containing palm oil form non sustainable sources!!! I am going to actively change this. I cook a lot from scratch so I’m confident my kitchen won’t take much changing. Do you think the app will be available in the UK any time soon as this would be so useful for me? Thank you for such an informative article and for being a compassionate steward for those without the ability to voice their disdain for what has been happening! As an avid missionary traveler to mostly third world countries, the compiled list was a gold mine for me to show my husband and switch us PO-free immediately. I’ve actually printed the lists out to take, added the app for shopping purposes and forwarded the article to ALL of our earth-conscious friends and family. Thanks for sharing this link. I am very much aware of this, and I actually speak about it in this post… Sustainable palm oil is the way forward, but many sustainable brands (including a few of the ones mentioned in the article you shared) have been caught out for contributing to deforestation even when they claim to be sustainable. The system is not reliable at all at this point. I am also 95% palm oil free by coincidence because I try my best to be plastic-free, meaning that I make all of my own food, homeware products from scratch and there is no palm oil involved. Thanks for sharing though, I do hope that you will re-read through this post. Brilliant article, Kate! We don’t use palm oil in any of our products at Stoats. Palm oil free porridge and porridge oat bars. It would be great if you could include Stoats in your list of palm oil free products. Hi Tony! Thank you so much for letting me know about Stoats. Could I just ask, are all of your products Palm Oil Free? Or just the selected products that you mentioned? OMG! 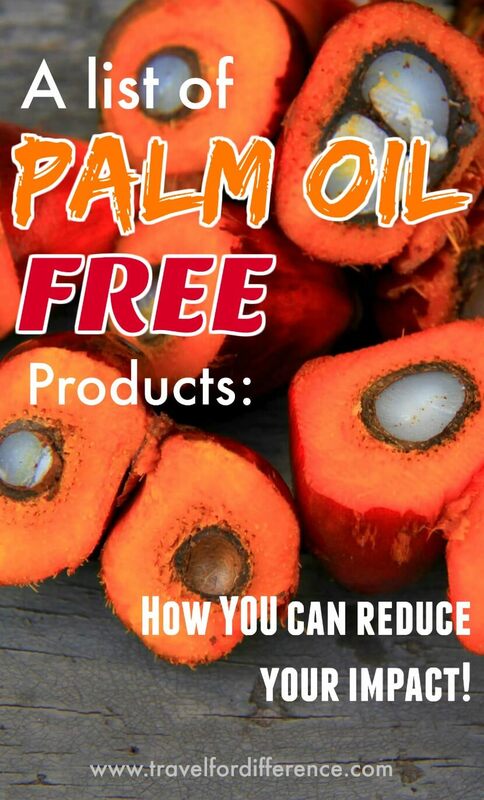 Thanks a lot Kate for sharing such an informative page about PALM OIL FREE PRODUCTS. I have read your valuable page and gotten much information. Keep it up………..
You’ve really helped my #earthyou movement 🙂 Thanks! Thank You for your research. I’m shocked how widely used is that oil. It seems to be impossible to fight with it BUT I WILL TRY TO REDUCE MY USAGE OF IT AND CONVINCE OTHERS. 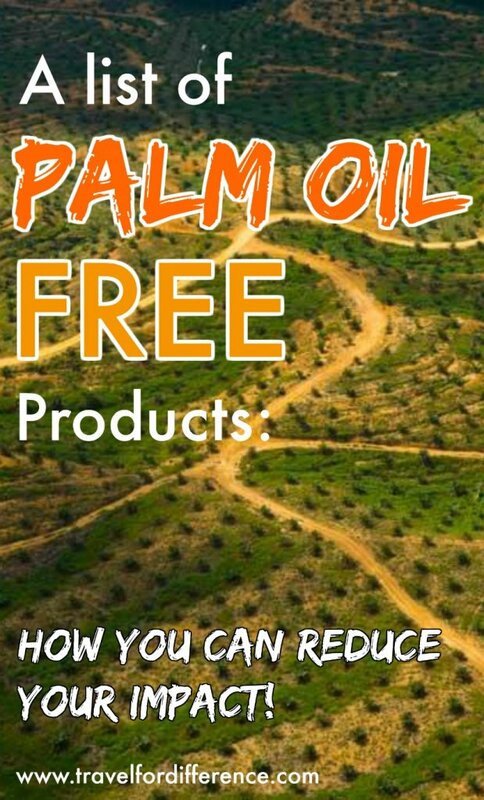 Im all for palm oil free products – avoiding palm oil in food is relatively easy if you dont buy ready meals or processed foods and do your own cooking using fresh veg, fresh meat, cereals, pulses, beans, fruit, etc. I find the real challenge is in soaps, moisturisers, and toiletries, where palm oil seems to be universal, but the palm free products are ridiculously expensive because they tend to be made by small artisan companies and are often sold as “hand made” (ie labour intensive, small batches, etc), so they are uneconomic to produce and almost semi-luxury items in terms of cost, which doesnt help. A single bar of palm oil free soap will usually cost as much as 4/5 bars of standard commercial soap. Well done on your list of alternative names for palm oil and your list of non-pal, oil products which is very helpful. Iceland has just announced that it is removing all palm oil and palm oil derivatives from its own brands – I hope other major chains follow suit. 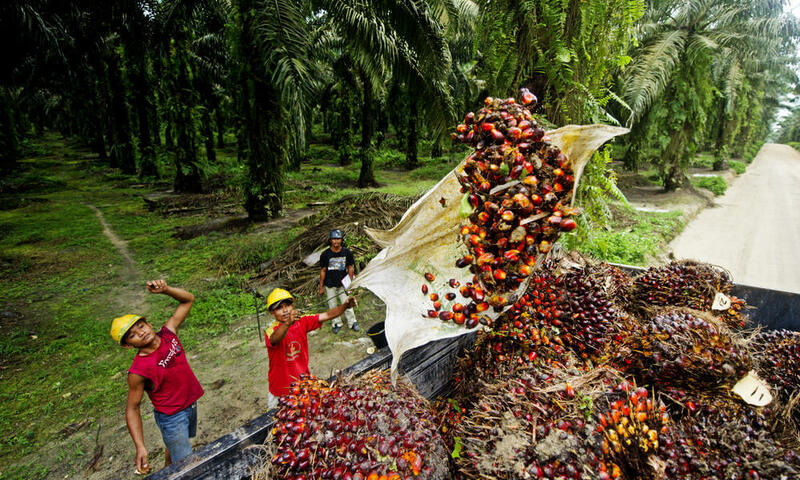 Palm oil is as much of an environmental disaster as plastic. Thank you so much for the information and also for the POI app heads Up! I shall download this ASAP. It s absolutely shocking that this deforestation is happening at all, let alone that it is causing the death of so many orangutans. Hi, any help with a UK palm oil free list would be much appreciated. New to going palm free. I have included some UK brands, but only what I could research from here – I hope this helps. Thanks for your fast response. I noticed some of the people on here were from the UK. I’ve been emailing different shops/brands, with some success there. I’ve been checking ingredients lists but as you know it’s time consuming!. I just hope the big giants/brands realise that consumers what change. ?? Oh wow Kate. Fabulous article. I thought I knew the hidden names for palm oil but clearly I do not after reading your helpful list. I am truly gutted that my favourite comestic company elf doesn’t use sustainable oil. I thought being vegan and only buying cruelty free products, I was doing my bit. Back to the drawing board again to find another company ? I was relieved that my gorgeous little dogs favourite dog food is palm free oil. It would be wonderful if you could post this some where because I think they should get huge credit for being such a fantastic company. A huge round of applause for Nature diet dog food. Thank you for your interesting and incisive article. Lots to take on board and even more items to look at more closely when I go to the supermarket. Hi Kate! Thank you so much for all the hard work you clearly have put in to make things transparent for people on the palm oil front. I just checked my cereal, Freedom Foods that you can buy at Coles, and they don’t contain palm oil or any of the other names you mentioned, though you may wish to follow up on that with more in depth research. I’ll save this page and come back to it often to check up on things. Thanks again! Thank you so much for your kind words Samantha! Mind blown. Thanks for answering all of the questions in my head! I read your article with great interest BUT most of the products, brands, supermakets etc. are unknown in Switzerland, save the Swiss brands such as Nestlé. So it is not very useful, I am afraid. I always pay attention to the ingredients description on the packaging. What about products/brands containing palm oil sold in Switzerland? Thank you Kate for your feedback. Too bad for me! I can hardly believe how many products contain palm oil, especially in the world of cosmetics. Heartbreaking indeed. It’s a tricky one because companies are disguising product’s name but I’m going to try and make some small/easy changes now and then try to build on it. PS I’m in Scotland….I can’t get the POI here….says it’s not available here ???????? Keep up the good work and I’ll share this post far and wide! PalmOil Free, but your website differs! This is very confusing trying to find UK High Street goods that are clear! Have you seen the Iceland advert that has been banned in the UK as it was originally made by Greenpeace and was therefore deemed political. According to Greenpeace, Colgate-Palmolive and Kitkat (choc bars) have so far failed to use sustainable palm oil. Does Coke Drink Contain Palm oil? Yes, from my understanding Coca-Cola does contain Palm Oil. Fantastic article, I’m from the UK and really want to eradicate the use of Palm oil. However I’ve heard reports that sometimes you can’t be sure it’s sustainable. But the argument that palm oil is more productive than say sunflower oil is thought provoking. So for now I’m determined to go palm oil free. Great post, Kate. Very informative. Does anyone know of a comparative list of British products? NB: HEAVENLY CHOCOLATE New British Chocolate without palm oil or sugar. Suitable for diabetics. forest. It may be a drop in the ocean but it’s drops that makes a difference. Thank you so much for your kind words and for this info! I actually went to Borneo in 2016 and visited the Orangutan rehab centre… It was a magical experience, and so so heartwarming to see these animals being treated with kindness and rehabilitated in such an ethical way. At the time that I visited, there were online issues with the adoption process, so I made a one-time donation instead! You’ve definitely reminded me to finally go online and make my adoption, so thank you! It really is magical when you find organizations that are trying to mend such tragic destruction… It definitely restores my faith in humanity! Thank-you so much for this very useful article Kate. I’ve been doing my own research on what products use palm oil (from the UK) and the list is epic! I watched the ‘Natural World – Orangutans’ this week and it was heart breaking. The ancient forests in Indonesia are disappearing at an alarming rate and the wildlife with it. If something is not done soon those beautiful animals will be lost forever. We can reverse, what we’ve done within a couple of decades – but it has to be now. If we don’t do anything now and we keep shopping blindly, we won’t have orangutans for our kids and grandkids. I am working on a facebook post series that will educate our communities by telling them 1-2 tips a day on what to buy and what to avoid at any costs. The method I am using is going through my own household and reading labels and looking up palm oil free alternatives, that are more accessible than the ‘more expensive’ brands’ products that you normally have to order from specific websites. Would you be able to help me with your findings and or do this task with me, please? We have to do more than just saying how terrible this is, we have to take actions and spoon feed people with our findings. Being a UK resident and Facebook user, I would be very interested in following you on Facebook to obtain the tips of the day and what to buy and what to avoid. Would you be able to add me as a friend or email me with the link. Just having watched “Orangutan School” on C4 on Wed and a link to Emma Thompson’s RangTan film, I want to do more in my household to know that i’m making my own personal difference in helping this beautiful creatures. And to also find other ways to help where i can.. Together we can make a difference. Sian. I’ve just discovered this website and saw you were making a list of companies and products…..are you willing to share it? I’m at the very beginning of this journey but I’m incensed by the destruction of animals and their habitat. Hi, I just wanted you to know that over here in the UK the frozen food chain Iceland is to become the first major food retailer to remove palm oil from all its own-brand foods. It has promised to do this by the end of the year! This is a great start and people power will make sure this happens with other companies, not just the food sector. Yes to products contain Glycerin and say on their website that they use vegetable oil and it says on here that they don’t use any palm oil?…..so…..frustrated. I too am so grateful and have been using your post regularly for some time. Iceland supermarket in the Uk have been advertising that they are removing all palm oil from their own branded products by the end of the year (2018). They claim to be the first British supermarket to do this. But be careful because this only refers to their own brands and from what I can see they don’t have any own branded cleaning, laundry products or toiletries. Brilliant and well done. Has opened my eyes. Just did realise the scale of it. How much is comparable in England will now have to see. Thanks once again. Regards Mike Webb. Hello Kate thanks for reporting on palm oil, I certainly won’t be buying any more dove soap and checking lables, unfortunately a lot of the things that you say I can replace them with I’ve never heard of or aren’t sold by me, but I will do my best to go palm oil free. Hi Kate, thanks for compiling such extensive information around palm oil. I’m from India and though the list of products are irrelevant to me, I so completely am with you in your thoughts about this entire ‘scam’. I make a conscious effort to check every label that I purchase and educate my 8 yr son too about palm oil bad effects. Also share this with my family friends and acquaintances. I’m doing my bit and hope the government cracks down on its use and comes down heavily on these companies that are putting millions of innocent lives in danger. Kudos to you for the great job! Hi Kate, great article! I just wanted to point out that LUSH does use palm oil in their products. On the website (https://uk.lush.com/article/faq-lush-and-palm-oil) you can find which palm oil derivatives they use. Basically all their efforts went into removing palm oil from the soap base, but almost all products still contain palm oil derivatives. They are funding forest restoration causes etc., but are far from palm oil free. Thank you so so much for that information Daan – I’m really not sure how I let that slip. I really do appreciate you letting me know as I would hate to give someone the wrong information! That’s why I don’t claim to be a professional I guess ? Thank you! Hi Kate, thank you so much for compiling this information. I’ve been on the ‘sustainable palm oil’ path for over a year and I know how difficult it is, so kudos to you! I thought you (or your readers – guessing from some of the comments) would appreciate these two links – http://palmoilscorecard.panda.org/ and https://www.rspo.org/members/all where you can find information about worldwide brands. It’s still pretty difficult sometimes, but I find it helpful, whenever in doubt I just check the websites. I’ve noticed you’ve put Dove under ‘palm oil product’, which is funny ’cause in Europe Unilever is one of the best companies at Certified Sustainable Palm Oil, but I checked their report and indeed only 7% (scandalous!!) of it is sustainable in Australia! So yeah, defo boycott them over there until they get it right 🙂 It’s bonkers! Also wanted to thank you for sharing the app, had no idea this existed and been talking about it with my friends for ages, of how we need something like that! Hopefully they’ll expand worldwide, can’t wait! PS- Amen for Nutella which seems to be 100% sustainable (and child labour free) all over the world. There’s hope! Those websites really are helpful, thank you for sharing! It really is so sad that so many people around the world struggle to find relevant information about this issue. You would think that by now this would be something that’s regularly spoken about… I do have hope that our knowledge will continue to grow! Nowhere on your web site did I find a list of palm oil free products. Did I overlook it? More than half of this post is a list of products… Each header (skincare, chips, butter etc) has options of palm oil free products, products that contain palm oil and products that contain sustainable palm oil. Thanks so much for stopping by John! This is great information. However, the specific brand names you mention are completely unrecognizable to me. I live in the United States. Hardly any of the products you mention, good or bad, are apparently marketed in the US. If this list is to be useful to other markets, it needs to be expanded greatly to include products sold in European and American markets. I have searched the internet for palm oil-free products, and it appears that the only websites that address this issue are based in Australia or NZ – clearly these nations are light years ahead of the US on addressing the palm oil problem. I totally understand where you’re coming from John! Although, as I have unfortunately never visited the US, nor do I know any US brands, it’s impossible for me to know about the companies myself and recommend them to you! I’m Australian and have lived in this country my whole life, so you can understand why the majority of the names I’ve mentioned are relevant to that. I sadly can’t cater for everyone in this instance, especially as my blog is focused on sustainable travel, and not necessarily on palm oil. I will consider expanding this post at some stage to cater to a broader group, but as you said, I’ll need a whole lot of time in order to do so! It’s terribly sad that there isn’t more relevant information on this in your country, but I have my fingers crossed that the US will catch up with the importance of this devastating issue soon – It’s definitely needed. Hi Kate – this is absolutely awesome information – I cannot speak highly enough of the POI app which takes two seconds to download and provides you with such great choice after scanning the barcode. 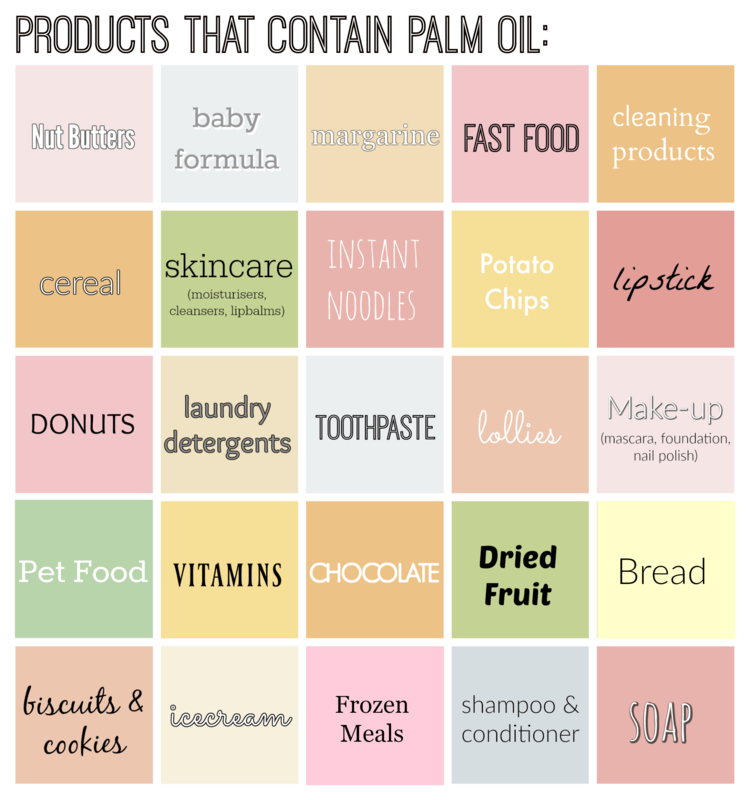 It all sounds time-consuming but it only takes a couple of shops for you to get to know which products to avoid. Keep up the fabulous work. Thanks a lot for this info mam…..
Great article Kate! Though I am well aware of the dangers of palm oil in baby formula, I am have been caught completely off guard by the widespread scope of palm oil and the environmental impact of it. Another formula to check out is Natures One Baby’s Only. It is an organic formula with no palm oil. Thanks so much Jeff! It’s really quite scary how much this product is used in today’s market, and likewise with how many consumers are completely unaware! I have hopes that one day we will see the use of Sustainable Palm Oil only, and that such drastic deforestation is no longer an option.